Access All Areas members have a new set of vector resources to download this week, courtesy of Eddy Biel from Layerform Design Co. 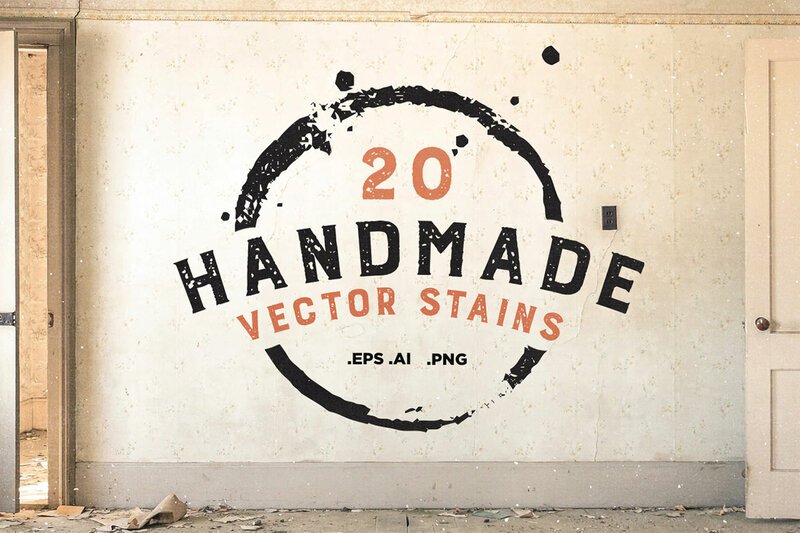 This collection of 20 graphics have been digitally converted from authentic coffee stains with a variety of drips and splatters. Use them to produce vintage and grungy effects, or combine the circular shapes with your logo layouts to produce interesting designs. Layerform is an online graphic design publication run by designer Eddy Biel that provides high quality articles, tutorials and handcrafted design resources for the artistic community. There’s a range of products available in the Layerform store that help you achieve popular design styles with the help of ready made items, along with lots of large resource bundles that provide exceptional value for money. Find out more about Layerform Design Co. This collection vector coffee stains is now available for Access All Areas members to download as part of their membership. The download contains 20 graphics in .AI format for Adobe Illustrator (with Illustrator 10 backup), an EPS file for other vector compatible applications, and 20 individual high resolution PNG images of each stain graphic with transparency for use in all other image editing software. Your collection of 20 vector graphics is just awesome! Keep doing it! you have no idea how much its helping me. That’s great Sara! Glad to hear it! This is nice! Thanks to Layerform and you! Thanks Su, I’m glad you like Layerform’s work!